The most amazing Photographers!!! Sean and Dee Mills, love love love love love!!!!!!!! You really blessed us with your photos!!! Your talent is more than amazing !!!!!!!! Beautiful, breathtaking, amazing! I'm speechless! THANKS SEAN AND DEE!!! Your so amazing!!!!! Now I am in tears!! It is the most beautiful photos and slideshow I have ever seen. Can't say THANK YOU enough for you guys capturing our perfect day!! Ek wens ek kan al die fotos oplaai op FB! Dis almal so spesiaal en pragtig. so considerate always and capturing the most amazing moments at our wedding. Absolutely loved having Sean and Dee photograph our wedding. They caught every special moment and made it so relaxing and so much fun; it was all natural smiles. They make one awesome team and are so passionate about what they do. I just wish I could do it all over again! You guys are awesome!!! A very big Thank You to both Sean & Dee for capturing our special day so beautifully through their camera lenses. From the moment we met with both of them, I knew they were going to do a fantastic job! Their humble and yet confident approach to both our engagement & wedding photos came through beautifully in every photo. They have such lovely ways in which to make both bride and groom feel at ease, my hubby hates photos but during our engagement shoot he felt at ease and enjoyed every moment. As for our wedding photos they caught both of us as well as our guests in such natural beauty. I would highly recommend this husband and wife team to capture your special moments and make your experience totally unforgettable. Thank you Sean Mills for a great shoot. It was a pleasure working with you. Sean and Dee did an amazing job in capturing our 'bump'! They braved cold and crazy, windy weather to accommodate our request for sunset photos at the beach and the creative result was fabulous! Thanks Sean an Dee; your talent and your passion for what you do as a dynamic team is clear and it really shows in your beautiful photographs. We wanted a simple, low-key celebration with our family and friends. We weren’t too perturbed with having all of the fancy bells and whistles normally associated with a wedding – but we DID want a professional photographer to capture our memories. 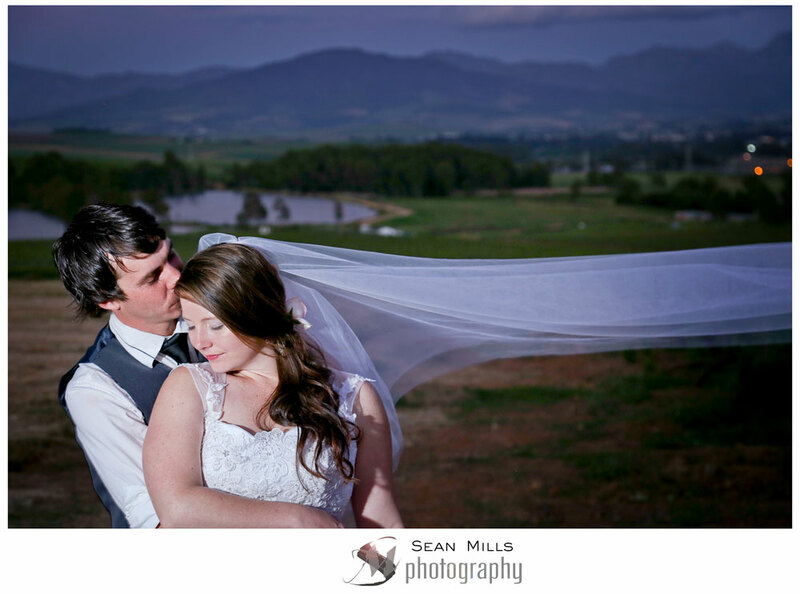 We are beyond thrilled with the beautiful photographs and professional service received from Sean and Dee Mills. No matter how tight your wedding budget is, don’t skimp on your photographer. Your photos are the permanent memory of your wedding once everything else has faded. Thank you Sean and Dee for capturing our memories. Dee and Sean came into our home and transformed our lounge in a studio. Their natures are warm and fun and they captured our family as we are. I love our pictures and would highly recommend their work. Thank you so much Sean and Dee for the beautiful photos taken of our baby daughter. Your patience needed a medal and the photos came out beautifully. You are both very creative and super talented in what you do , thank you so much. What a great experience working with Sean & Dee. They have a unique ability to engage everyone (including the kids), and making them feel at ease. And the end result ends up being absolutely beautiful! Sean Mills is super talented and awesome to work with… he made us feel comfortable and we loved his vibe.